FirstVoices – Sign Up NOW! 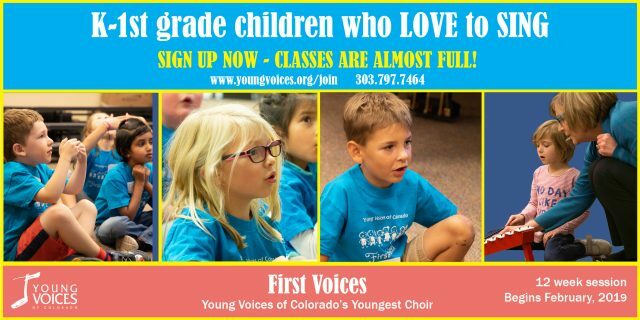 Classes are filling fast! 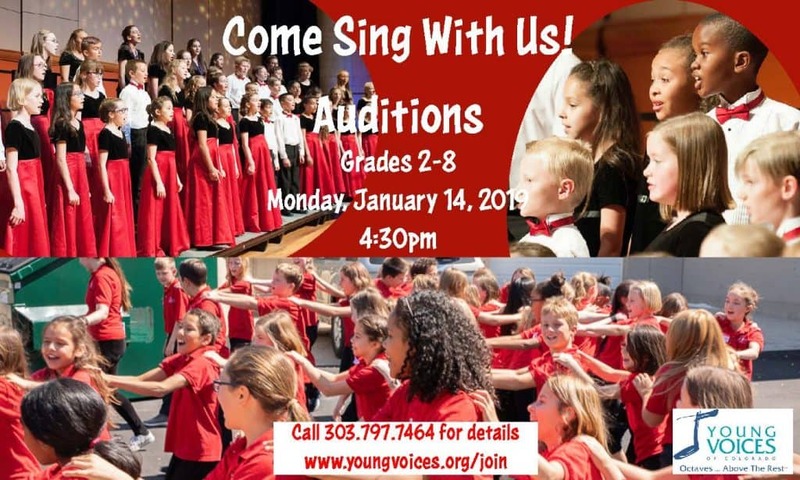 Now in our 28th season, we have grown into a 200 member children’s choir that continues to offer the best music and voice lessons in vocal technique, music theory, music history, sight reading, choral artistry and performance style. 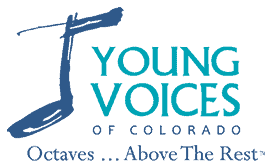 Young Voices of Colorado is a non-profit children’s choir serving the Rocky Mountains in the communities of Aurora, Castle Rock, Centennial, Cherry Hills, Denver, Englewood, Golden, Greenwood Village, Highlands Ranch, Lakewood, Littleton, Lone Tree, and Parker.